Ezio Rizzardo was born in Onigo, Province of Treviso, Italy on 26 December 1943. He graduated with First-Class Honours in Applied Organic Chemistry from the University of NSW in 1966 and was awarded a PhD in Organic Chemistry by the University of Sydney in 1969 for his studies on the photochemistry of organic nitro compounds with John Pinhey. He joined David Solomon‘s group at CSIRO in 1976 after postdoctoral work on the synthesis of biologically active compounds with Richard Turner (Rice University, Houston, Texas), Sir Derek Barton (Research Institute for Medicine and Chemistry, Boston, Massachusetts) and Arthur Birch (Australian National University in Canberra). At CSIRO he turned his attention to polymer science and has led research teams in the fields of Free Radical Polymerisation, Polymeric Biomaterials and Engineering Polymers, and was the inaugural Director of the Cooperative Research Centre for Polymer Blends. His principal research interests are in the development of methods for understanding and controlling polymerisation processes so as to produce polymers of better-defined structure and properties. Research highlights from the teams he has led include radical trapping with nitroxides, nitroxide mediated polymerisation, chain transfer and ring opening polymerisation by addition-fragmentation, and the RAFT process. From 1992 to 1994, he served as Inaugural/Interim Director of the Cooperative Research Centre for Polymer Blends and in 2000 was promoted to the position of CSIRO Fellow, the highest scientific position in the organisation. In 2005, he was honoured by the Royal Australian Chemical Institute who named their Applied Research Award the Ezio Rizzardo Medal. Each year the Applied Research Award is named after a distinguished RACI senior applied research chemist, who most usually has been aN RACI medal winner. The name, which has to be approved by the Board, is chosen by the Adjudicating Panel of the Award. 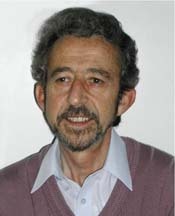 He has received several honours and awards for his outstanding contributions to polymer chemistry the most outstanding being his election as a Fellow of the Royal Society in 2010. 2011 Ranked 18th in the world’s top 100 chemists by the US information and analysis company Thompson Reuters. Published to mark the International Year of Chemistry, it is based on citation impact scores for papers published in the period 2000-2010.